BasDrive uses high-grade data encryption, share your files with people outside your organization without compromizing your security. Drag and drop for easy upload. Index files, rename, profile and save files into predefined folders or new folders. BASCRM Box puts you in complete control over your data. 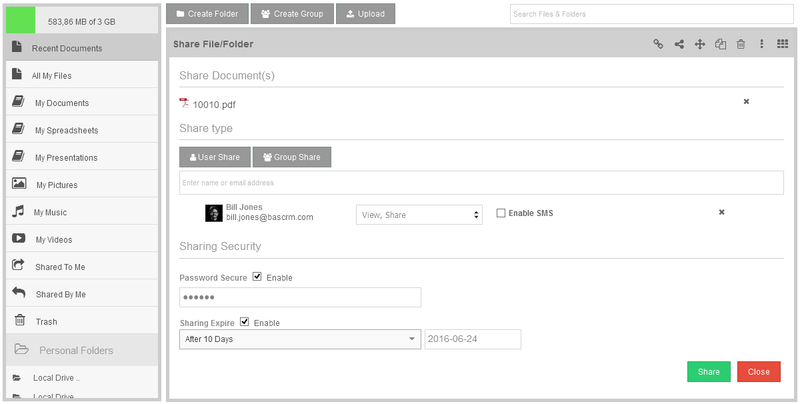 Collaborate more efficiently, track when someone downloads or sends you a file. 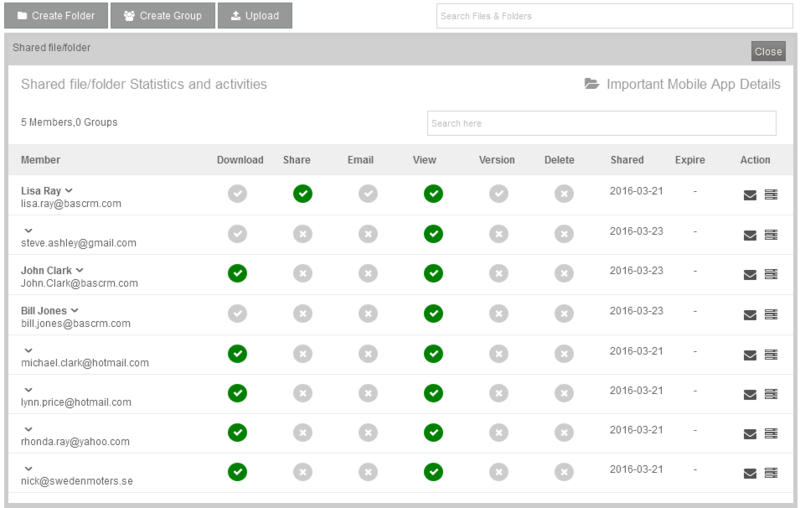 Limit the sharing time and see how and when your files are accessed with a comprehensive activity log. Accountability for your employees and protection for your clients — at your fingertips. 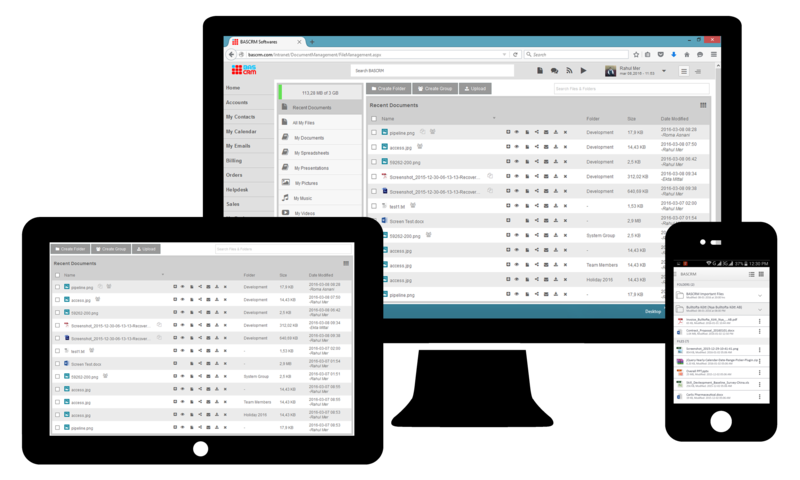 BASCRM Box automatically syncs your files, so you’ll always be working with the most accurate, up-to-date information. Simply add the BASDRIVE Sync folder to your desktop and save files there for instant sync across all connected devices. Your files are automatically synchronize between your devices Designed for mobile and tablets, BasDrive enables full access to all of your documents while on the road. Full integrations with your email. Enables users to email documents directly from within BasDrive for super-fast emailing.